We’ve all heard the adage “That’s just an old wives tale” to dismiss superstitions, rumors, and home remedies. But recently, scientific study has lent a bit of credence to some of the wisdom of those old wives. Steeped in tradition and experience, we’ve compiled a list of twelve old wives tales that have now proven to be more than superstition. It’s long been believed that when you’re sick you should eat chicken soup. While the soup itself isn’t exactly a cure for the common cold, it can help you quite a bit in the relief of some of your symptoms. Chicken soup, it turns out, has been scientifically proven to reduce inflammation by slowing down the white blood cell activity responsible. Plus, the salt in the soup is very soothing to a raw and scratchy throat. So the next time you’re sick, by all means, stock up on chicken soup! …Keeps the doctor away. 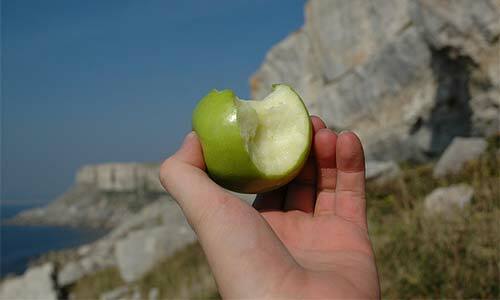 We’ve all heard that from the time we were children to encourage us to eat healthier. 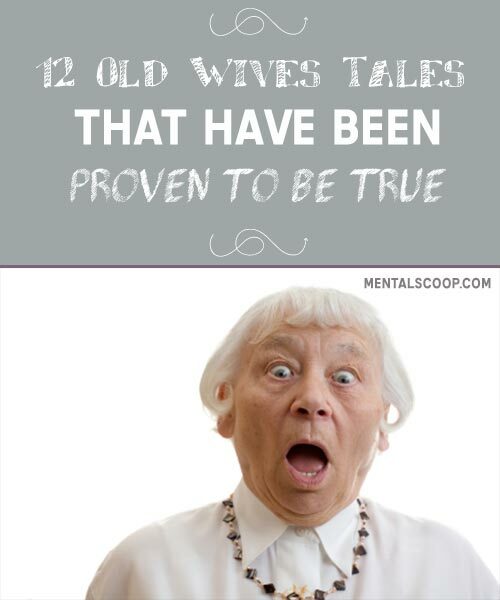 Well as it turns out, this old wives tale is actually more fact than fiction. A 2013 study discovered that if everyone over 50-years-old in the United Kingdom ate just one apple per day, they could actually prevent or delay 8500 heart attacks and strokes per year! Science has now proven that baby boys tend to give their mothers more difficulty during labor than girls. A study conducted in 2003 found that women who are delivering boys are more likely to have complications during labor, resulting in an increased number of emergency cesarean sections. The study suggested the reason for this is that boys tend to be larger and heavier at birth than girls, and their larger heads specifically can cause more issues for the mothers. As it turns out, craving chocolate just before you get your period is more than just a dietary difficulty. Those cravings actually happen for health and physiological reasons. Studies suggest that chocolate can have a calming effect and ease anxiety and moodiness. It’s believed the reason for this is that chocolate is a source of nutrients and antioxidants such as anandamide. The point is, no need to feel guilty about wanting to inhale chocolate around your time of the month, just show a bit of restraint. If you and your partner are trying for a baby, the man should avoid a hot bath beforehand. Old wives have said this for ages, and now science has confirmed it. A 2007 study concluded that wet heat exposure, in a hot tub, bath, or Jacuzzi, is actually damaging to short-term male fertility. We’re not saying don’t bathe before bed, guys, but keep it cool.